It is common for people to clench and grind their teeth on an occasion. When this happens to you infrequently, it is known by the medical name of bruxism. Doing this occasionally will not cause you any damage. If you regularly grind your teeth, it can cause harm to your oral health and result in complications. This can cause you to experience significant injuries to your teeth and even result in experiencing neck pain. Should you grind your teeth regularly: the constant pressure could result in you experiencing serious symptoms. In some situations, chronic bruxism is caused by emotional stress. If you are experiencing a significant amount of stress in your life, it is common for you to clench or grind your teeth when sleeping. The problem can happen if you also clench your jaw when you are awake. This is known as waking bruxism. Individuals with chronic bruxism may clench or grind their teeth so loud; it wakes up their sleep partner. Your teeth could be chipped, become loose as well as flattened or fractured. You could wear out the enamel on your teeth and cause deeper layers of the tooth to be exposed. It may also cause you to experience an increased level of tooth sensitivity as well as pain. Chronic bruxism could cause you to have tight or tired jaw muscles as well as neck and face pain. It is possible for you to experience earaches, dull headaches, damage from chewing the inside of your cheeks, sleep disruption and more. How does the Dentist Identify for the Cause? If your dentist believes you could have chronic bruxism, they will attempt to determine the cause. Initially, you will be asked a series of questions concerning your general dental health as well as medications, sleep habits, daily routines and more. Your dentist will then look for any tenderness you may have in your jaw muscles. They will look in your mouth to see if you have any dental abnormalities such as teeth that are broken or missing. An X-ray could be used to determine any other possible damage to your teeth as well as inside of your cheeks and underlying bone. Studies have shown that over 30 percent of children grind their teeth. This can be a significant problem as their teeth are still in the developmental stage. When a child grinds their teeth, it most often occurs when they get their baby teeth and during the time they get their permanent teeth. It is common for children to stop the teeth grinding habit when these two periods in their life are over. There are a number of reasons a child grinds their teeth including improper alignment, unusual contact between the upper and lower teeth, allergies and more. How to Treat Teeth Grinding? If your teeth are showing signs of damage; dentists in point cook can determine the amount of damage that has occurred. They will know how to proceed with the most effective solution to repair any teeth that have been fractured and prevent any further damage. The type of treatment you receive will be determined by the type and seriousness of your symptoms. In many cases, you will be able to stop grinding your teeth by wearing a mouth guard at night. This has proven to be effective in lowering the pressure caused by a person clenching their teeth. 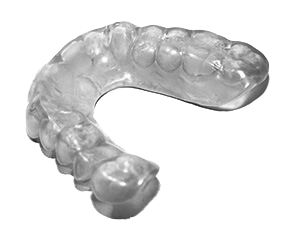 If your teeth are showing signs of damage, a mouth guard will help protect them from any additional damage. If you suspect you or your child may have a problem with teeth grinding; it’s important you contact the dentists in point cook. Perhaps it is time for an evaluation and treatment. Call us now at (03) 9395 8400 to arrange for an assessment by our experienced dentist!